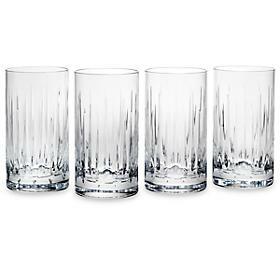 The striking Soho style artfully blends the classic with the contemporary for a winning design and a welcome complement to any bar or table setting. 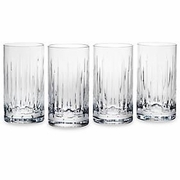 This set of four hiballs is perfect for serving up any beverage. U.S. sales only to the 48 contiguous states. FREE SHIPPING!